Prey's not the best-looking game ever made, and there are a few nagging issues, but compared to Dishonored 2 it runs like a dream. 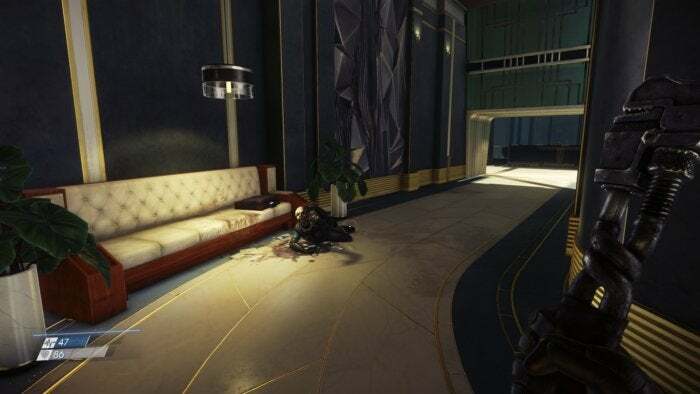 Prey looks good and runs great. Join us as we investigate this System Shock successor's creepy Talos I space station. 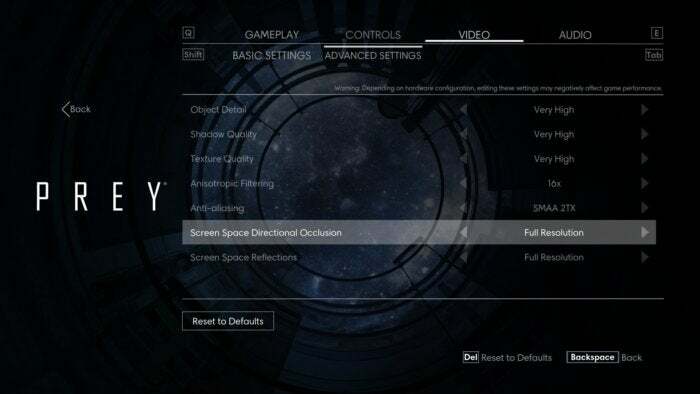 I held my breath as I booted up Prey for the first time yesterday. When last I saw the game in February, PC performance was rough. The frame rate was all over the place and, worse, the controls were all sorts of awkward, like they’d been one-to-one mapped from a gamepad to keyboard with no thought to convenience. Normally I’d give a company benefit of the doubt in a preview, but this was Arkane post-Dishonored 2 and its busted launch. 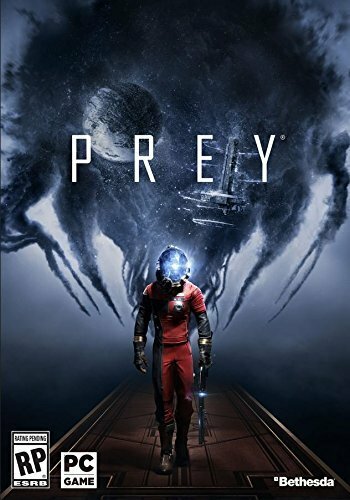 With Bethesda pulling its usual review code shenanigans and dumping Prey off the day before release? I felt wary. Some quibbles: The options menu isn’t particularly robust, and you’ll need to edit an .ini file to adjust your field of view—Bethesda has officially sanctioned instructions here, which makes me wonder why a slider didn’t make it in at launch. The same goes for disabling motion blur. Key bindings are also a little weird still. You’ll have to trust me when I say the situation’s gotten better since March, but I still shook my head at some—crouch mapped only to C, for instance, and not Ctrl. Which brings up another issue: There’s no way to map two keys to the same action. A bit frustrating if you, for instance, would like the “Use” function mapped to both the default “F” and a spare mouse thumb button. The game also ties menu navigation to Q and E, and if you change them it also changes the keys for leaning, regardless of whether that’s desired. Bizarre. Other small issues fester, like right-click closing some dialogue boxes and menus but not others, Escape closing other dialogue boxes and menus but not others, or “F” being used to navigate tiny buttons on in-game screens—all inconsequential in isolation, but add them up and the result is a thousand tiny aggravations for mouse and keyboard users. The game is playable, but I find myself sighing occasionally when I hit Escape to leave the weapon wheel and it pulls up the pause menu instead. Menus and even some interactions (like the in-game computers) were clearly designed around controller usage. I’m enjoying it though, interface hiccups aside. It’s very System Shock—big open space station with lots of keycards to find, emails to read, terminals to hack, and a fair number of aliens to fight. I wish melee combat had a bit more heft to it—you swing your wrench like a pool noodle, and it’s hard to tell sometimes if you connected or not. Enemies also have this issue, the game not doing a great job communicating that you are indeed taking damage and are indeed on the verge of death. But I’m mostly here to sneak around, crawl through vents, build elaborate structures with the Glue Gun, throw explosive barrels at enemies to shortcut most combat scenarios, and enjoy the story. That last bit has been solid so far, at five or six hours in. It’s suitably mysterious and full of Arkane’s specialty a.k.a. lots of audio logs, notes, and dead bodies lying around. Whether it holds up after 15 to 20 hours? We’ll see. I expect to run a more extensive review next week for those who are on the fence. But for now, I’m just relieved it runs well enough to review.